Andrew McGowan is Dean of Berkeley Divinity School at Yale and McFaddin Professor of Anglican Studies and Pastoral Theology. The Hildans were lucky enough to have him join them for one of their Friday sessions, leading a discussion on the concept of worship across Church history. He then even agreed to write up a guest post detailing what we talked about. You can also find it on his personal blog Saint Ronan Street Diary. Last week I met with the interns at St Hilda’s House and we talked about worship, starting with some thoughts from the first chapter of my book, Ancient Christian Worship (Baker Academic, 2014). Here are some of the ideas we shared. “Worship” in English-language Bibles refers to something quite different from the activities or ideas for which contemporary Christians use that word. Most of the time in the New Testament it is used to translate Greek words referring not to prayer, or singing, or community rituals, but to literal acts of physical obedience and submission - like prostrating oneself on the ground. “Worship” is not what goes on in temples or synagogues, or even in homes where Christians meet, but happens wherever social relations of dependence and obedience are expressed. It has more to do with politics and ethics than with what we would call worship, although it has a necessary physical and embodied aspect. It doesn’t mean religious practice, and it doesn’t mean faith either - but both could be part of it. This isn’t necessarily a problem - words do shift in meaning. The problem is that we may tend to ignore the shift, and just project our experience onto theirs as we read, or vice-versa. We tend to think, I suspect, that “worship” in our sense is an obvious thing, that connects us with the scriptures and the early Church; in fact our concept doesn’t exist in the ancient world. That sounds rather startling, and someone might quickly object that there are things about “worship” in our modern sense that do connect us with the scriptures and the early followers of Jesus. I agree; and I can see two ways we could trace those continuities. The first is to leave the word “worship” alone for a moment, but to acknowledge that we have a set of communal practices of prayer and ritual that do stem from the NT roots of the Church: daily prayer, Eucharist and baptism are all characteristic of the Christian movement, and always have been. These are a distinctive set of actions, a habitus, that along with dispositions of love and justice to the community and to the world makes the Church what it is, just as surely as the confession that Jesus is Lord, i.e., that he is the one worthy of obedient service, of worship. But “worship” of Jesus, while it includes these characteristic actions of communal obedience, is not actually more about them than it is about actions in other parts of life. The other way we could work is to grasp the “worship” language, instead of avoiding it, and to think about Christian life (including its communal and liturgical aspects) as a pattern of obedience and service. 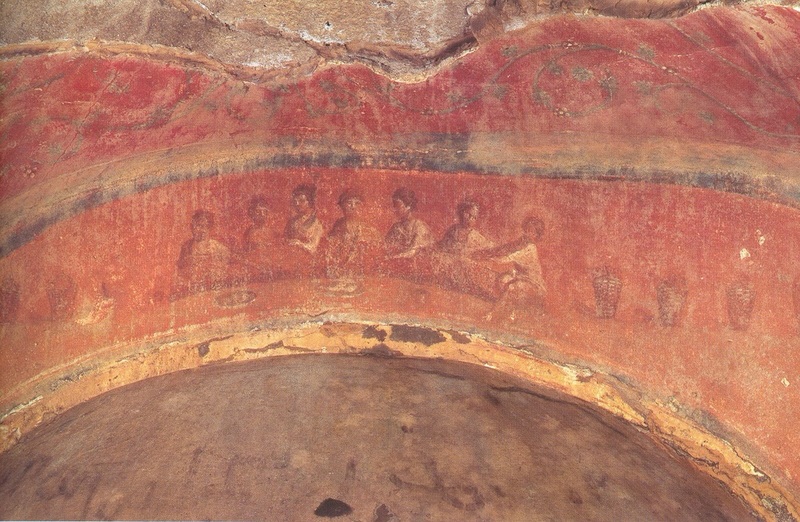 This leads us again to baptism, eucharist, and prayer; not because they are Christian versions of some wider phenomenon called “worship” (i.e., not in the modern sense) but because they are our concrete and distinctive forms of obedience to Jesus (think “pray thus” [Matt 6:9]; “do this in memory of me”; “go, make disciples…baptising them…”). Staying with this second approach, what I have just provided is a fairly protestant version of a rationale for the Christian sacraments, in keeping with the Calvinist tendency to call them “ordinances”. We could however come to these actions with language and concepts slightly less rooted in the giving and receiving of orders, but from notions of dependence and love, which are equally valid or arguably far better ways of characterizing the Christian relationship with the God of Jesus Christ who no longer calls us servants but friends. Thinking in these terms, we can reflect on the sacraments not only as ordinances but as gifts, the embodied enactment of our grafting in to the beloved community. This still leaves the faintly puzzling language and concept of “worship” today. As I have already implied, we have this language not because it is an inconsequential name for corporate religious ritual, but as a specific product or vestige of Christian notions of obedience and service as the heart of communal sacramental action. This is also why we still have events called “services,” by the way, although we have mostly forgotten the connection, and the now-common phrase “worship service” is surely a feeble attempt to make two meaningless words stronger by combination. The accidental products of this shift or loss are profound, and often tragic. If we start with the notion that “worship” describes whatever is customary or entertaining or even edifying to do for an hour on Sunday, we certainly miss the point. The idea, for instance, that music (or a particular genre thereof) is the essence of corporate worship is curious at best. Of course music, like buildings and food, can be put in service of God (not least in conjunction with Eucharist and prayer), but not because music is inherently more about worship than are other types of activity. There are however two good places from which to start and which might lead us to diverse, engaging and challenging liturgy: first and unavoidable is the characteristic Christian sacramental habitus; the onus is on anyone who professes faith to say why this is not the center of communal gatherings. Second, and quite differently but leading to the same goal, there is the recognition that while all life is service, community is the focus of presenting our whole selves to God in love and obedience; the communal gathering then serves to build up, equip, re-inforce, express, etc., the reality of the Church. This however does not make it “worship." I was recently at a Church which ended its liturgy with the words “Our worship has ended, let our service begin.” It’s a worthy thought, even if a cheesy line, but it actually underlines the problem of the language and the practices more than solving it. The fact that this is supposed to be a sort of pun or play on words reveals the tragic loss of significance of “worship” (and of “service” too). In fact you could better reverse the terms and make the point intended, if as I have been suggesting “worship” is not the Sunday morning part of Christian life more than the rest. Ideally we should understand that worship is not liturgy, it is life; which does not make liturgy less important, but clears the way to ask what it is for, and what then we must do to engage in it well and faithfully.